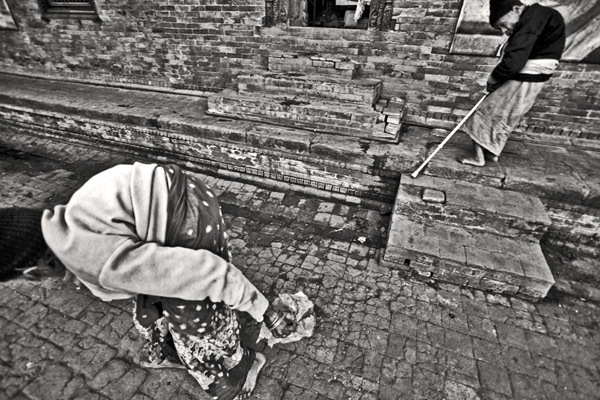 April 6, 2011 /Photography News/ Founded by Mother Theresa’s Missionaries of Charity, Briddhashram Home for the Elderly sits on the outskirts of Kathmandu. Presently It houses approximately 240 elderly and infirm residents. These residents suffer from many illnesses and afflictions associated with old age. 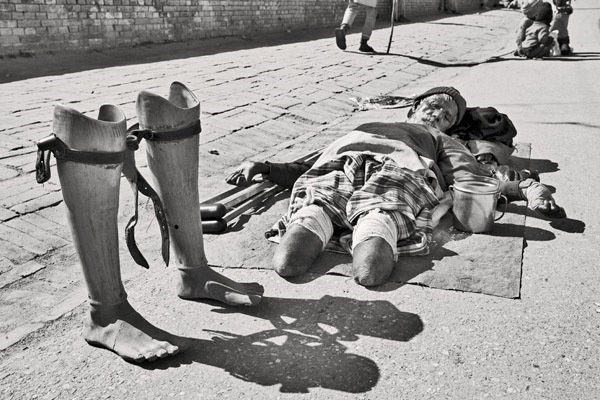 Amongst them reduced mobility, blindness and severe mental deterioration. There are presently only 9 care givers at the facility. And it relies heavily on Charitable donations. 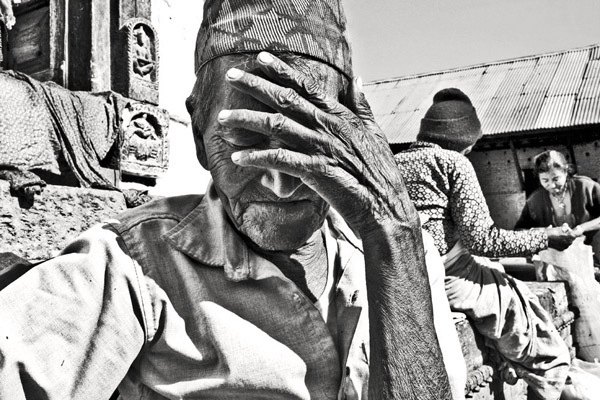 Years of major political turmoil in Nepal has led to the virtual collapse of any reliable health care system, paired with Nepali's deep rooted traditions and religious beliefs especially in rural areas, meaning that there is a poor-to-non existent understanding of mental illnesses associated with old age such as Dementia and Alzheimers. 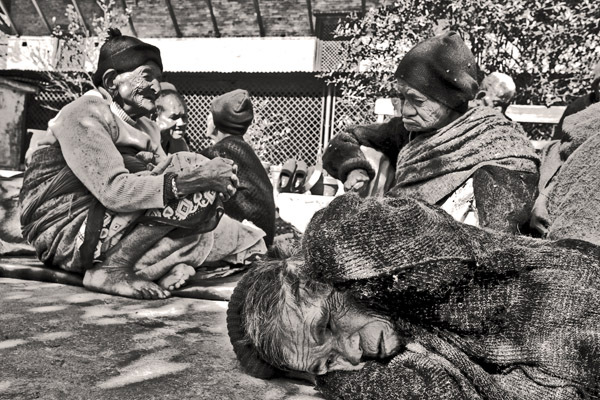 Thus, unable to firstly understand and secondly to treat and deal with the complexities of their older relative's illnesses, families often abandon these elders, who are then left to fend for themselves on the streets. If they are fortunate they may find refuge at Briddashram Home for the Elderly. A place which by the standards of the developed world is unhygienic, heavily understaffed and painfully short in medical supplies for treatment and alleviation of even the most basic of ailments. But for Nepal, being of the worlds poorest countries overcoming the legacy of a 10-year Maoist insurrection, this is the best possible treatment for individuals who, through Nepal's poor health education and ingrained religious and cultural beliefs on physical and mental deterioration, would live a squalid and painful life on the streets. 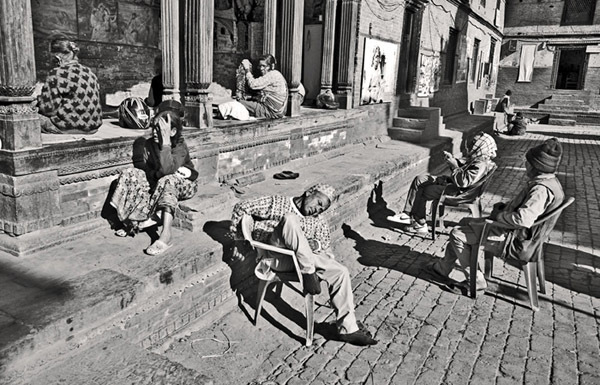 Residents of the home sit in the main courtyard. The age range of residents is from mid 60's to late 90s. Two female residents with reduced mobility pass in a communal area. Due to poor Nepal's poor healthcare system and lack of funds at the home many residents have to cope without treatment for various afflictions. 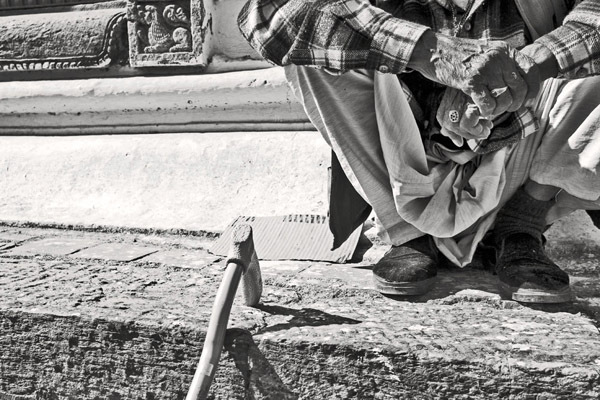 A male resident sits with his walking stick in the main courtyard many of the resident's belongings and medical supplies are sourced from charitable donations. A heavily disabled, elderly non resident lays begging in the street outside the home. Stipulations of entry to the home include proof that the individuals are over 65 and are verified to be orphaned, and have no one to care for them. 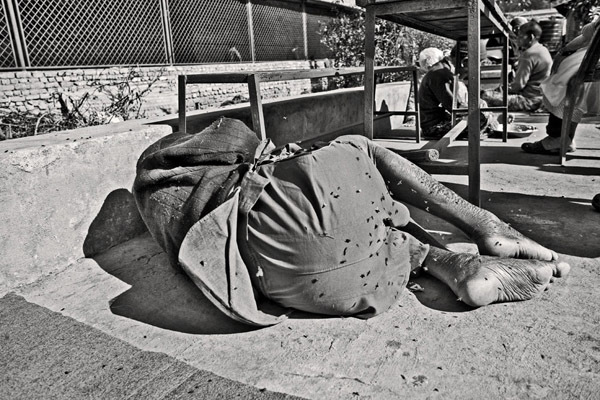 A male resident lays on the floor covered in flies in his own waste in a communal area. There are only 9 care givers at the facility. This shortage in staff means that some of the more dependant residents needs may often go unattended. A male resident with a painful bladder infection. Antibiotics are readily available from medical supply shops in Kathmandu, but due to lack of funding and staff shortages easily treatable infections and illnesses are left to grow into bigger problems. A half naked female resident with chronic back problems waits for a fellow resident to give her a back massage. A male resident listens to Nepali music on a radio sourced from a charitable donation. A male resident sits in the Laundry area of the home where possible residents are encouraged to do their own washing. They are provided with new clothing 2 times a year. A female resident with signs of severe mental illness lays on the floor of a communal area. In poor understanding of deterioration of mental conditions associated with old age often means that such conditions go undiagnosed and, as such, poorly treated. 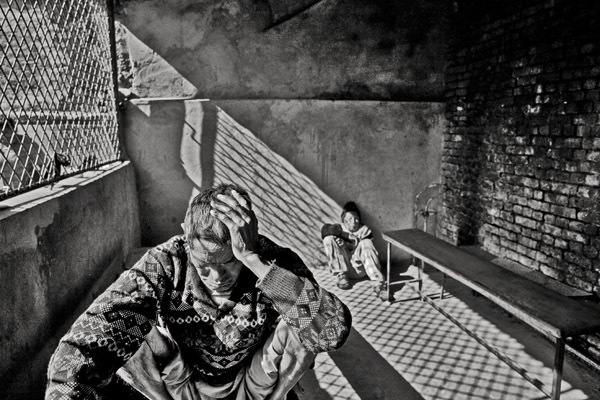 Dan Giannopoulos is a London based travel and documentary photographer focusing on social and political issues. Holding a first class Honours degree in Photojournalism from The London College of Communication, he work on general news stories as well as long term personal projects. Dan's work has been regularly Featured in 'The Guardian' and 'The Observer' newspapers and he has been published by MSN, Time, The Sunday Times Magazine, Photography Monthly, and 'Rock Sound amongst others. His work can be seen at www.aletheiaphotos.com and www.gianphotography.com. This is a great story and great photography. You feel helpless when you view these pictures. I think about the guilt feelings I would have while taking these pictures. No human should have to end their life in this fashion. 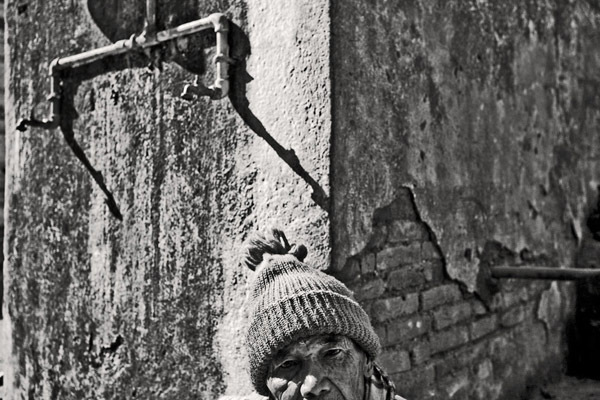 You don't have to go to Kathmandu to find poor elderly in dire straights. This is a good essay and should be expanded, perhaps collectively by photographers in other countries, to show its a global situation. This is what documentary photography is all about.. showing the world a large and real people and their circumstances! Great work!!! My God, this is so moving and frustrating, photos and documentary..
How unjust is human existence, people who don't really deserve or need money and better living HAVE IT, and those who REALLY need it, DON'T! All cases of similar stories in the world should be photographed and exposed to the whole world, PRECISELY to the communities with MONEY and POWER!! what is going on with all that HDR? The shadows are brighter than the highlights. yeah, why is all solarized? Hi! You're pictures are amazing! I am a Doctor and currently preparing a presentation in a Medical Congress. I'd be happy to incorporate one of your pictures in it. Would it be possible? (Of course, identifying you).